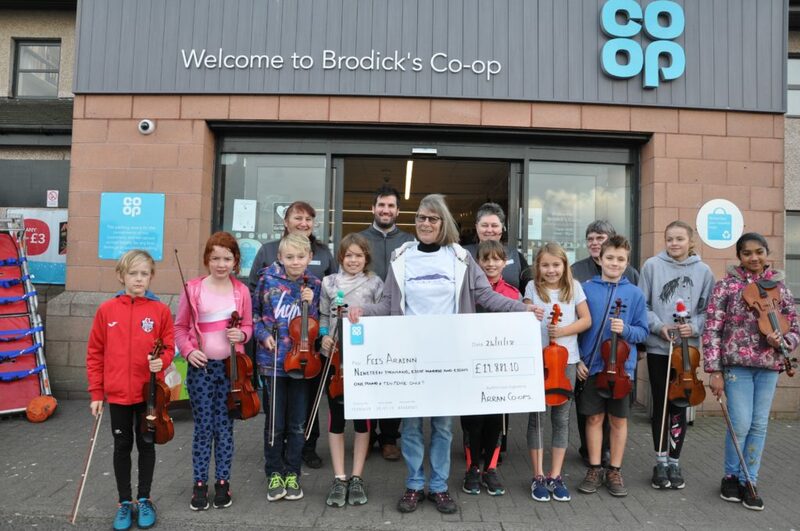 Two community groups on Arran have received cheques totalling more than £40,000 from the Co-op. 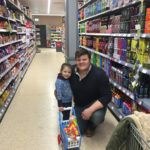 Customers at the three Co-ops on the island have raised the money themselves by buying Co-op own brand products which sees 1 per cent go to local causes. The groups which have benefited are the Arran Mountain Rescue Team, who have received a splendid £21,810.44, with Feis Arainn picking up £19,881.10, which will put them on a solid financial footing. 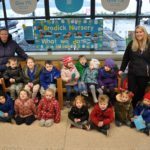 They received their cheques at a special celebration day held at the Big Co in Brodick last Saturday where manager Liz McLean revealed that the shop is one of the top performing Co-ops in the country in raising cash for the community. 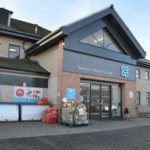 Community member pioneer Mark Harwood said the Co-op was especially pleased to support the Feis, which can now fund the attendance of young people for years to come and pay for transport to competitions on the mainland. The AMRT will use the funds to build cover for two more vehicles, which in turn will help them to cope with increasing demand for their services. They also have several new members who require to be kitted out. The Feis joined in the celebration day with performances by a group of their young fiddle players and the AMRT brought along their rescue vehicle. Mark provide some of the warm-up entertainment and there was big prize draw on the day for customers. In another donation handed over on Saturday the Arran branch of Cats Protection received a welcome sum of £368 which was raised by the Brodick Co-op staff running a raffle to help a community charity. Branch co-ordinator Linda Hartley said: ‘We are thrilled and so thankful. This will enable us to continue the work we do through our Snip ‘n’ Chip campaign, helping Arran cat owners to get their cats neutered and microchipped as well as our work of neutering feral and farm cats. ‘Our vet bill in September was £351 so this is just fabulous! Thank you to everyone who bought tickets you have made a difference and we are very grateful for your support. ‘We hope also that people will become a Co-op member and make us their choice for the 1 per cent donation for this next year. Our ability to do the work relies on us having a vehicle to transport cats to and from the vets and onto new homes,’ she added.